The TaylorMade Phenom K50 junior set includes all clubs necessary to help young golfers develop their skills and grow a passion for the game. The set includes a 400cc titanium driver, stainless steel fairway wood, stainless steel rescue club, 7 and 9-irons, sand wedge, mallet putter, and an ultra-lightweight stand bag. All club shafts have been flex-optimized and made to exacting lengths to help develop proper fundamentals and the grips meet the needs of smaller hands for a proper feel throughout the swing. 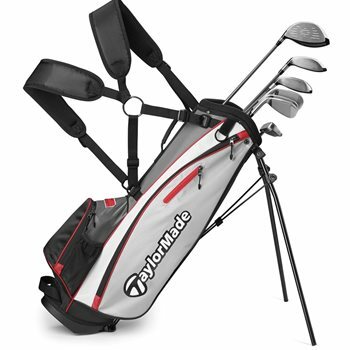 Perfect for golfers 9-12 years old (23"-30").